However, before proceeding any further, we should note that call recording is illegal in some countries including the US, so you should first check your country’s legislation on the matter or proceed at your own risk. So in case, you need to record your calls on your Android device, here are some best apps to do it. Important note: These apps won’t work for those of you who have a device running Android 9 Pie. Google put a stop to call recording with the latest version of Android, so for those of you who have a device on Pie, the only option to do call recording is to root. Google Voice is a service that lets you make and receive calls, texts and use call forwarding free of charge. It also has a semi-hidden feature that allows you to record calls. 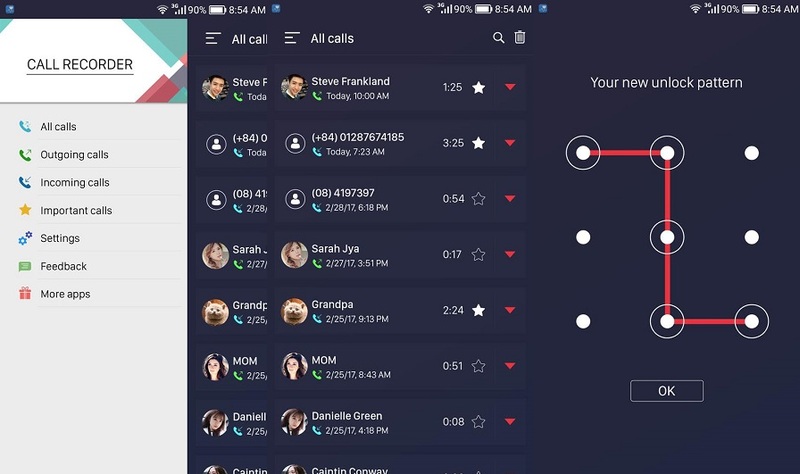 The app lets you record calls for free. To access the feature, click on the hamburger menu located at the top right-hand corner, then go to Settings>Calls>Turn on Incoming Call Options. 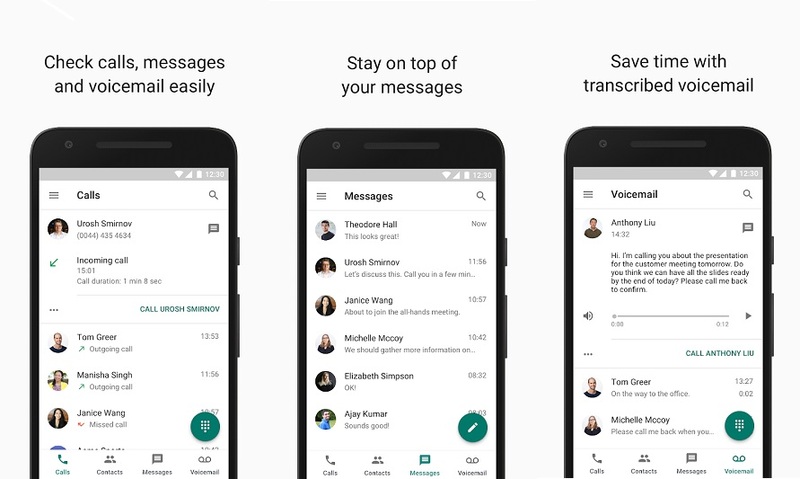 Google Voice also provides advanced voicemail transcriptions that you can read in the app or have them sent to your email account. The app allows to make international calls at competitive rates, so you can save as much as you. 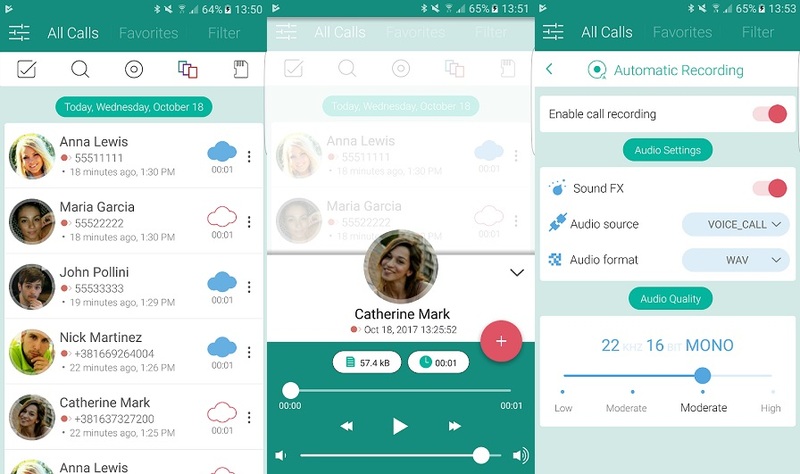 A call recording app with a very clean and intuitive UI, that allows for plenty of customizations when it comes to recording calls. You can set up the app to automatically record all calls, or you can select which type of calls to record (all, contacts, unknown). Users can easily select contacts to ignore when it comes to recording by virtue of a single tap. The app allows you to adjust the settings of the recorded call like audio quality, increase audio quality or audio format. Users can choose between different color themes. The app includes multiple Caller ID settings (for example Real-time caller ID which identifies callers even then ones not in your contact list in real time). A straightforward call recording app that will record cellular calls, but not calls made over Wi-Fi or VoIP. 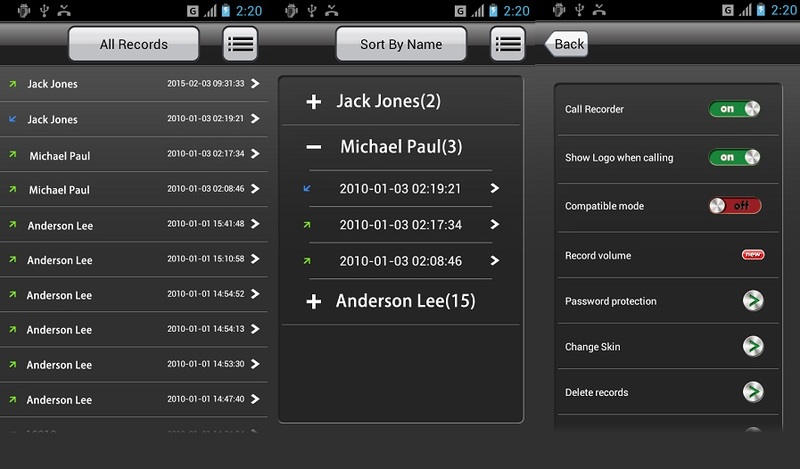 Call Recorder – ACR can automatically record and save calls based on phone number. The app offers a lot of Recording settings. For example, you can automatically turn on your phone’s loudspeaker during the call, select your preferred recording format or turn on the shake to record option. 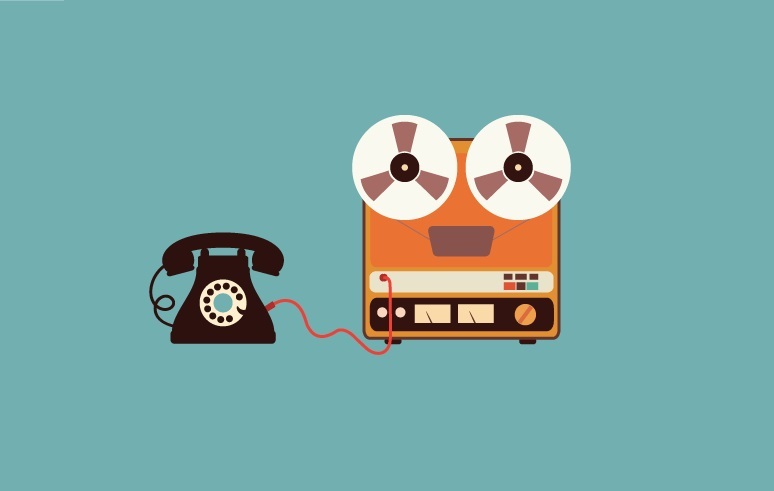 Call Recorder – ACR also features a dark theme and comes with an built-in media player, so users can play their recordings from within the app. Note: A Pro version is available too for $0.99. A call recording app which not only lets you record cellular calls but also calls made via VoIP services like WhatsApp, Skype and Viber. The app has a clean, uncluttered interface that’s quite easy to navigate. It comes complete with a dark theme. 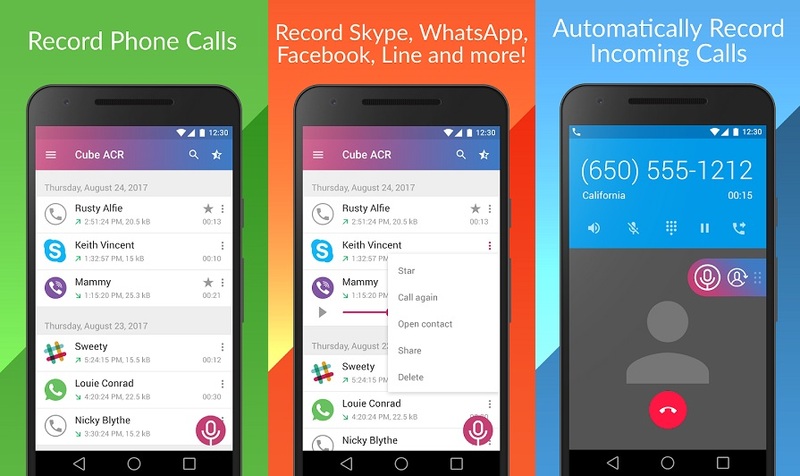 Cube Call Recorder ACR has plenty or Recording settings to take advantage of. You can opt to have your recordings start automatically or to exclude some callers and so on. Includes a Map option that places all your recordings on the world’s map, so you can get an overall view of them. Note: Some features are only available in the Premium version such as the ability to hide the app from view. To unlock these features you will have to shed $1.99/3 months. Another simple to use call recording app that lets you record both incoming and outgoing calls. 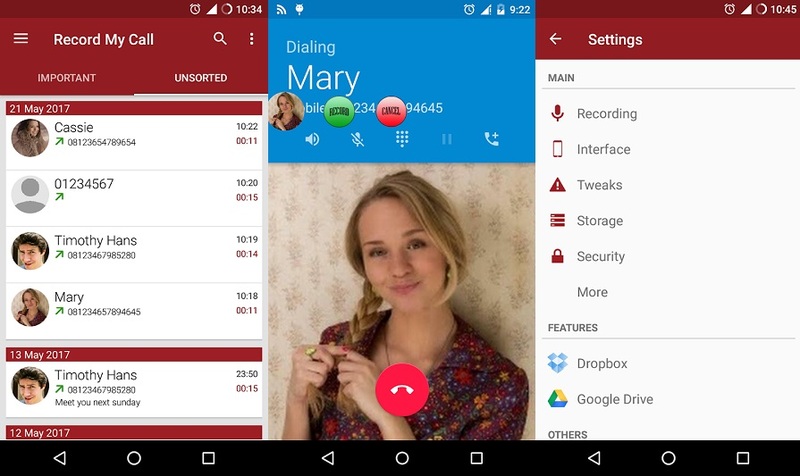 Call Recorder allows you to easily customize your call recording experience via Settings. From there you can do things like Enable call recording for Outgoing or Incoming calls, make a list of numbers to exclude and opt whether a notification should be shown when the app is recording. The app comes with a PIN protection feature. Users call also select their preferred audio source and choose the format to save their recordings in. Overall a very simple app to use. Note: There’s a Pro version that unlocks in exchange for $4.99. A call recording app for Android which lets you record in a lot of formats including the classic MP3 and WAV, but also AMR, MP4 and 3GP. RMC offers automatic call recording, but also includes a manual recording mode that allows you to record unchecked contacts. The app has an Auto Delete function, so your recordings don’t pile-up. Users can set a passcode to open the app for added protection. The app allows users to make various tweaks related to things like recording channels, sample rate, as well as bit rate. RMC also lets you connect your Dropbox or Google Drive accounts. A simple call recording app that sticks to the basic and won’t overwhelm you with countless features. 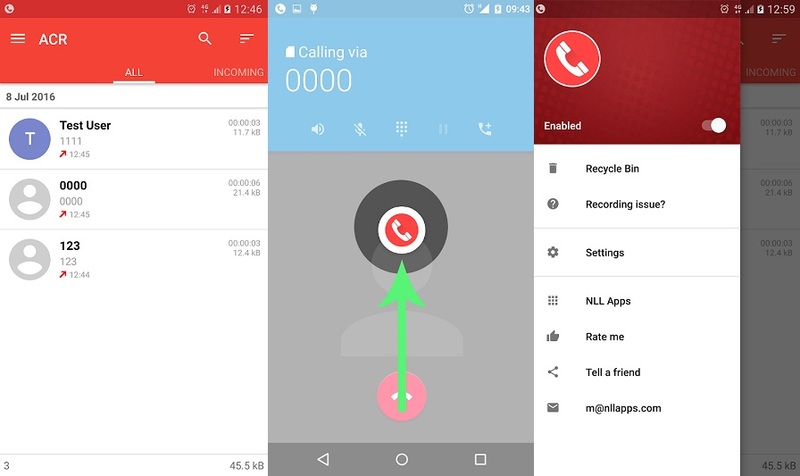 All Call Recorder Lite 2018 is a straightforward app that lets you record both incoming and outgoing calls. Features enough options for you to take advantage of. For example, you can set a PIN when the app is opened. You can also choose which file type you want to the app to save your recordings (.MP3 or .WAV). Has a built-in player, so you can play the recordings from the app. A spartan auto call recorder that allows you to save your recordings on your phone’s SD card. Although it has a pretty outdated interface, the app works as intended. It allows users to record calls, adjust the volume and create an ignore list. Encountered an issue? Call Recorder makes it very easy to send feedback via the Troubleshooting tab. The app features three different skins: Black, Light Gray and Wood. Pick your favorite.